Thank you for choosing Bank of Africa Uganda Ltd. The Bank of Africa website introduces you to the activities of Bank of Africa Uganda Ltd, including snapshots of the Bank’s products and services, staffing and careers, social responsibility activities as well as details of who we are. Strong as a group, Close as a Partner. BANK OF AFRICA – UGANDA Ltd. (BOA- UGANDA) is a member of the BANK OF AFRICA Group (BOA Group), formed nearly 30 years ago. BANK OF AFRICA Group currently operates in 17 countries, 16 of which are in Africa and 1 in Europe (France) – In Africa, the GROUP has presence in 8 counties in West Africa (Benin, Burkina Faso, Côte D’Ivoire, Ghana, Mali, Niger, Senegal and Togo), 7 in East Africa and Indian Ocean region (Burundi, Djibouti, Ethiopia, Kenya, Madagascar, Tanzania, and Uganda) and one in the Democratic Republic of Congo. The Group serves clients through a network of 15 commercial banks, 1 housing finance bank, 1 leasing company, 1 brokerage firm, 2 investment companies, one asset management company and one Group representative office in Paris. The Group currently employs approximately 5,000 employees of 25 nationalities across the network. As at 31 December 2013, the total assets of BOA Group stood at over EUR 493.7 Million. Since 2010, BANK OF AFRICA Group has been majority-owned by BMCE Bank, the second largest private bank in Morocco with significant commitment in development on the continent of Africa. BMCE Bank brings strong strategic and operational support to the BANK OF AFRICA Group, as well as direct access to the international market as a result of its presence in Europe and Asia. 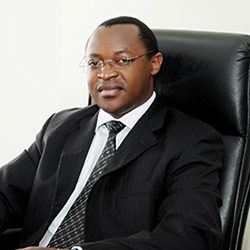 BOA – UGANDA’s majority shareholder is BANK OF AFRICA - KENYA, a principle member of the BANK OF AFRICA Group. Other shareholders include: Netherlands Development Finance Company (FMO), Central Holdings Uganda Ltd and African Financial Holding – Indian Ocean. BANK OF AFRICA – UGANDA Ltd. is an "all public" bank providing a full range banking products and services to large corporate companies, retail clientele, as well as Small and Medium Enterprises. The Bank’s services include personal and private banking, Corporate and SME solutions, Trade Finance, Investment and Treasury services, Funds Transfers and Foreign Exchange services, among others. Our expertise covers a wide range of areas including Currency Markets,, Structured Products, and Sector Tailored Solutions including Agriculture, Trade, Commerce, and Construction, among others. We provide both short and long term solutions. Service delivery is through close relationship management to facilitate better understanding of client needs. BANK OF AFRICA – UGANDA Ltd. serves its clients through a network of 35 locations spread across the country, manned by over 400 staff members. In the central region, the bank operates at Jinja road, Ben Kiwanuka Street- Mukwano Centre, Kitante Road, Ggaba Road, Nakivubo Road- Kikuubo, Kampala road, Bombo Road, Cooper Road, Port bell Road Luzira, Cooper Road Kisementi, Entebbe Road- Freedom City, Hoima Road - Nansana, Old Masaka Road- Nateete, Masaka Road- Ndeeba, Nakawa Road- Ntinda, Yusuf Lule Road- Oasis Mall, Lumumba Avenue- Rwenzori Courts, Bombo Road- KM Plaza, Mityana Road- Bbira, Kampala Road- Entebbe and Kampala Road- Mukono. In eastern Uganda, Bank of Africa Uganda Ltd. is present in Jinja and Mbale. In northern Uganda, the Bank is present in Arua, Gulu, Lira, and Agago, supported by a mobile bank: Bank on Wheels that serves clients in the Lango sub-region (Oyam, Kole, Apac, Alebtong, and Otuke.). In western Uganda, the Bank is present in Mbarara, Fortportal, Rubirizi and Hoima. The Bank has had an impact on the social scene through a number of corporate social responsibility activities. In 2013, Bank of Africa Uganda Ltd. launched her inaugural CSR flagship activity in support of Sickle Cell treatment. The Bank is gladly continuing in this commitment to the community through strategic partnerships with partners in the Health and financial sector. I hope that the information here will aid your decision in making BANK OF AFRICA – UGANDA Ltd. your preferred Bank. Bank of Africa Uganda Ltd.